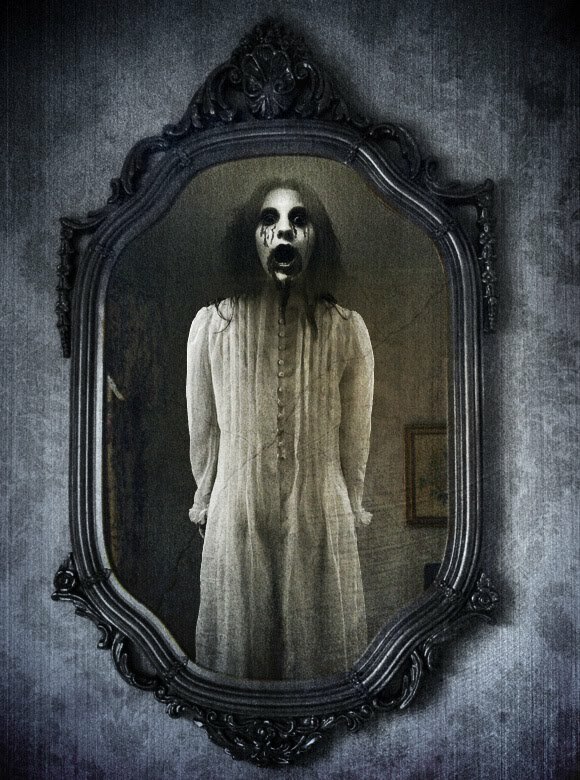 When I was a child there was this urban legend that always scared me to death whenever I looked into the mirror. Bloody Mary! 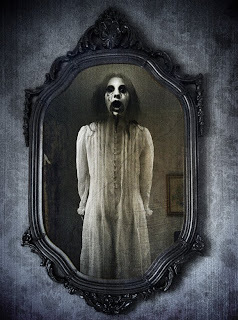 The legend says that if you stand in front of a mirror in the dark at midnight and say Bloody Mary 3 times, a woman named Mary covered in blood will appear in the mirror. Mary is said to be a child murderer who eventually committed suicide. This was the scariest thing I feared when I was a young kid. All of us would be so scared to even look into a mirror at night because we were always thinking about the legend hoping Mary wouldn’t just show her face and haunt us. Today, this legend seems somewhat silly, but to this day I will not look into that mirror alone and chant Bloody Mary 3 times. In 2006 a movie was made after this legend, and if you’ve ever seen the Candyman films, this is similar to the way Bloody Mary would be summoned. Now, of course, this legend has many different variations to the ways she may be summoned to appear in the mirror. From chanting her name 3 times at midnight, spinning around in circles while chanting, rubbing one eye, running the water or even to chant it 13 times while holding a candle may all have a way to making Bloody Mary appear. Some believers have sworn to have seen her and many others have proof on camera that have not been disproved as of yet. I remember that legend too. It was really big when I was in 4th or 5th grade. I remember kids asking to go to the bathroom at recess just to try and do the bloody Mary chant, even thought it was the middle of the day. I used to be so scared of this legend too. The kids in my elementary school asked to go to the bathroom to try it so much that they eventually made no one allowed to go into the bathrooms at recess for like an entire two weeks. This post was very interesting and brought back so memories from when I was younger. When my friends and I were younger we were really into this myth as well as playing with the quija board. Out of the two, I believe Bloody Mary scared me much more. One night we were discussing the legend over dinner with my family and my dad decided he was going to try it out. He left the table and went into the bathroom to try it out. I remember hearing him say something like "I don't think this works too well guys". Unbeknownst to us he was in the bathroom putting ketchup on his face only to run around the corner to scare us. I always thought this was a myth, but as kids you can't tell me that everyone didn't try this. I know I did. I always freaked out about it but joined in the fun. Funny story though one time we did it and my friends father showed up andit happened to be the same time that we were doing the legend we never did it again!!!! SCARY!